"As important as book learning is, we know that success in life is also dependent upon emotional intelligence. 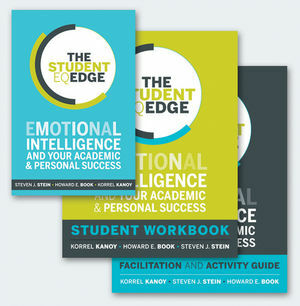 The authors of The Student EQ Edge define emotional intelligence and provide a road map for mastering emotional intelligence skills. 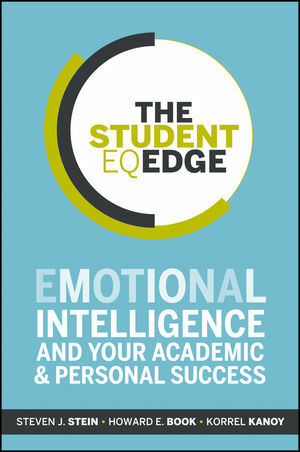 I would highly recommend The Student EQ Edge to any high school or college student interested in knowing what it takes to be truly successful both inside and outside the classroom." Brad Beacham, executive director, Sigma Nu Fraternity, Inc.
STEVEN J. STEIN is a clinical psychologist and founder and CEO of Multi-Health Systems Inc. He is coauthor, with Howard Book, of The EQ Edge. HOWARD E. BOOK is an organizational consultant and psychiatrist. He is an associate professor in the department of psychiatry at the University of Toronto. KORREL KANOY is professor emeritus of psychology at William Peace University and an educational consultant. The book is sponsored by Multi-Health Systems (MHS), which has been publishing psychological assessments for 30 years. 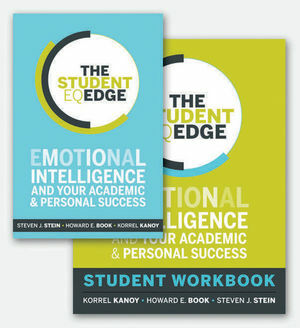 Emotional Intelligence Learning: What the Research Teaches Us About Its Importance to Students : Read the white paper by author Korrel Kanoy.